Blaming delaying tactics for lack of forming Knesset committees, Ilatov requests Edelstein get coalition members in line. As a result of the months it has taken Prime Minister Binyamin Netanyahu to establish a government, the Knesset's permanent committees remain unformed, and members of the Opposition are fed up. 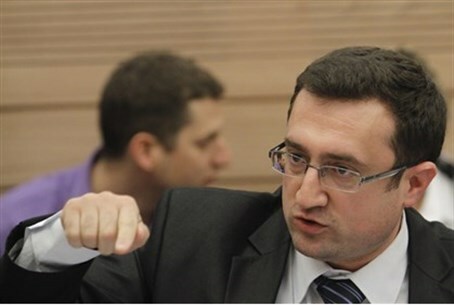 Yisrael Beytenu faction chairman MK Robert Ilatov sent a letter to Knesset Speaker Yuli Edelstein (Likud) on Monday protesting the delay in the establishment of the 12 committees. "I want to appeal to you on this most acute issue of the activities of the Knesset - the body responsible for the process of controlling and monitoring policy-making as well as the implementation of government activity," Ilatov wrote. "Over two months have passed since elections were held," Ilatov rebuked, "and the Knesset's members and committees are paralyzed because of the coalition's intentional delaying." "The coalition, thus, is severely undermining the monitoring and functioning of the Knesset," Ilatov charged. "While the Foreign Affairs and Defense Committee cannot function because its temporary chairman, Yariv Levin, was appointed a minister," Ilatov noted, the lack of committee activity was hindering the process of combating Israel's significant security threats. "Therefore, I request your immediate intervention to activate the Knesset in its regular manner," Ilatov signed.